There are certain tools that every man should have around. And I’m not talking about in your toolbox, though you should have some good stuff in there too. I’m talking about certain tools that you end up using daily. Tools that are important to have around. Today, we’re looking at the dive watch. A classic wardrobe staple that is as stylish as it is functional. And thanks to a certain cinematic superspy, it has become the go-to timepiece for many a stylish man. Whether diving 500m underwater or taking a dip in the pool, the dive watch is your essential tool. In 1926, Rolex patented one of the first dive watch designs and displayed them in fishbowls to show off their water resistance. Just to prove their point, they had long-distance swimmer Mercedes Gleitze wear their watch around her neck while she swam the English Channel. She swam for over 10 straight hours and that watch kept ticking. Then World War II began and dive watches became a go-to tool for soldiers and sailors. In fact, sailor Bob Maloubier, a leader of a team of French navy divers, designed the first commercially available dive watch. Back then, companies like Rolex and Omega sold watches at reasonable prices, but are now two of the most popular luxury watch brands. Then in 1962, the first James Bond movie premiered and the legendary spy wore a Rolex Submariner, and the dive watch was solidified as the popular timepiece it is today. What Makes It a Dive Watch? There is some debate as to what exactly constitutes a dive watch. According to the International Standards Organization listing 6425, “a [dive] watch [is] designed to withstand diving in water at depths of at least 100 m and posses a system to control the time.” So we’ll be using that as our standard. Here are some of the things to look for in your dive watch. First thing’s first, we of course need a watch with a decent water resistance depth. The ISO defines it as 100m, but a lot of manufacturers state that a dive watch should be resistant up to 200m. This accounts for all the moving that you (and consequently, your watch) will be doing underwater. If you’re legitimately diving, as in with scuba gear, this is incredibly important. 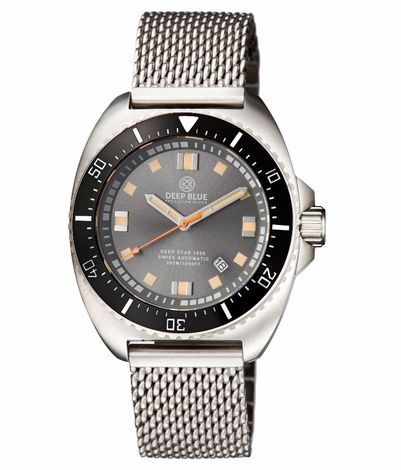 The bezel is the part of the dive watch on the case that has numbers on it in 10-minute increments. Having a rotating bezel will tell you how much time has elapsed. Using a rotating bezel is incredibly easy. Before you dive, you turn the bezel to where the minute hand is. From then on, you can see how much time has passed since hitting the water. This lets you know when you need to resurface so you don’t run out of oxygen. This is the glowing stuff painted on dial markers and on the hands. If you’re night diving or going particularly deep, this will help you be able to see your watch. That’s pretty much everything you need to keep in mind when you’re out shopping for a dive watch. And now for the part you really want to know. The watches themselves. In an ideal world, getting a Rolex Submariner is the watch you would buy. But unless you’ve got an extra $8k lying around, you might want to go with some of these more affordable watches. We’re starting with the most affordable option. As far as I can tell, there are few watches that can stand up to this Casio. It’s a bit on the larger side at 45mm in width, but it’s thin, so it still sits comfortably on a smaller wrist. It’s rated at 200m and a strong lume for the price. I’m not a fan of silicone watchstraps, which seems to be a pretty common opinion in the watch collector’s world. If you’re like me in that sense, I recommend swapping it out for a 22mm nylon watchstrap. It looks sportier and, frankly, way cooler. 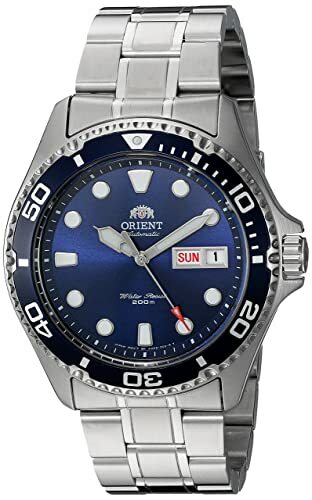 I love Orient’s watches. They look classic and are insanely affordable. I especially like the Ray II looks expensive so you can dress it up if you like, but it can still take a beating, which I’ve found isn’t always the case with expensive-looking watches. Pull a James Bond and wear this diver with your suit. The official watch of Hawaiian lifeguards, this watch is rugged as hell. Hawaiian lifeguards are considered some of the best in the world and they need a watch that’ll hold up to that title. Regardless of the outdoor activity, this is the watch that will go as hard as you do. This watch is pretty popular right now within the watch collecting community (or at least the community that can’t afford 5-figure watches). Maybe it’s the vintage-looking dial. Maybe it’s the mesh band. Maybe it’s the larger size, coming in at a whopping 45mm. Or maybe it’s a combination of all three. Either way, this watch is tough as nails, can be used to go 330m down, and has an automatic movement, so no worries about batteries. Far and away my favorite watch that I own, dive or otherwise. What’s great about this watch is that it has a very similar look to the classic Rolex Submariner (a watch that runs about $8k new), but has a more affordable price. As the name suggests, it’s water resistant to 500m, which is pretty damn deep. 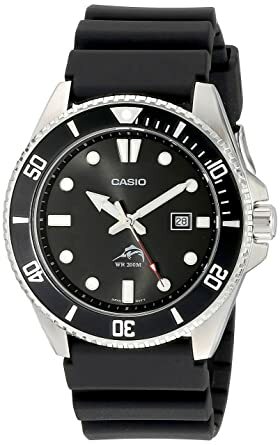 This is a great watch to wear on a diving trip or out on a date. What are some of your favorite dive watches? Let us know in the comments!